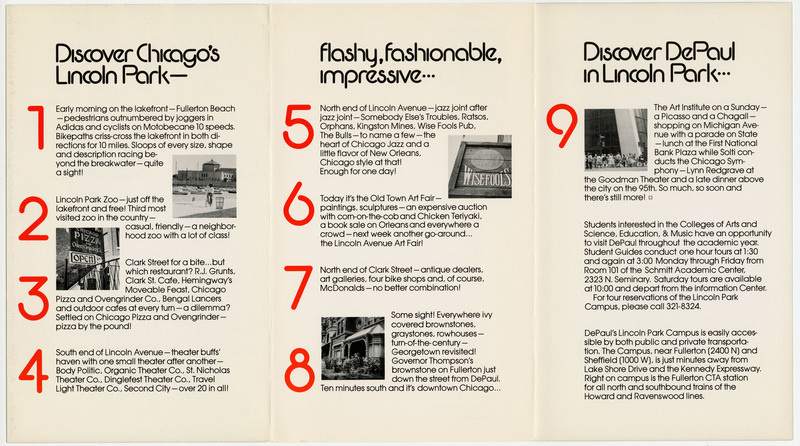 DePaul’s Special Collections and Archives contains many treasured books, artifacts and more, yet certain items hold a special place in staff members’ hearts. The images below are a few favorites from Andrea Bainbridge, university archivist; Jane Connelly, archives processing assistant; Morgen MacIntosh Hodgetts, Special Collections instruction librarian; Jamie Nelson, head of Special Collections and Archives; Derek Potts (LAS ’15), archives assistant; and Andrew Rea, Vincentian librarian. 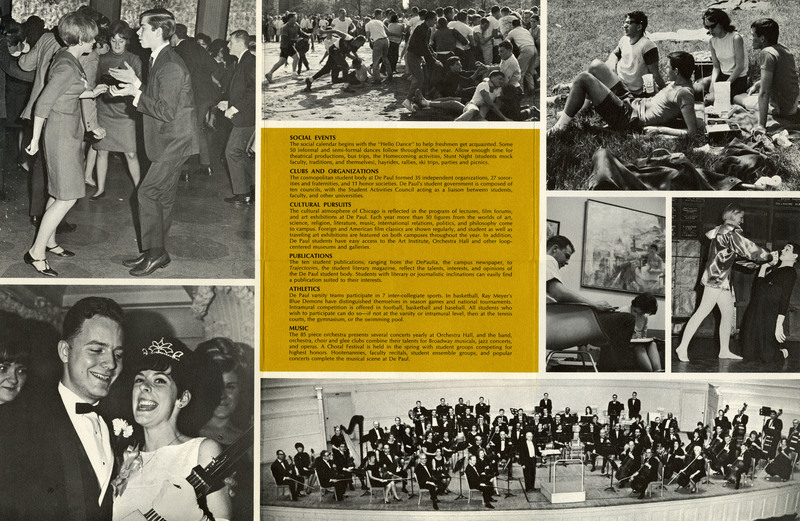 Learn more about Special Collections and Archives in DePaul Magazine. J.H. 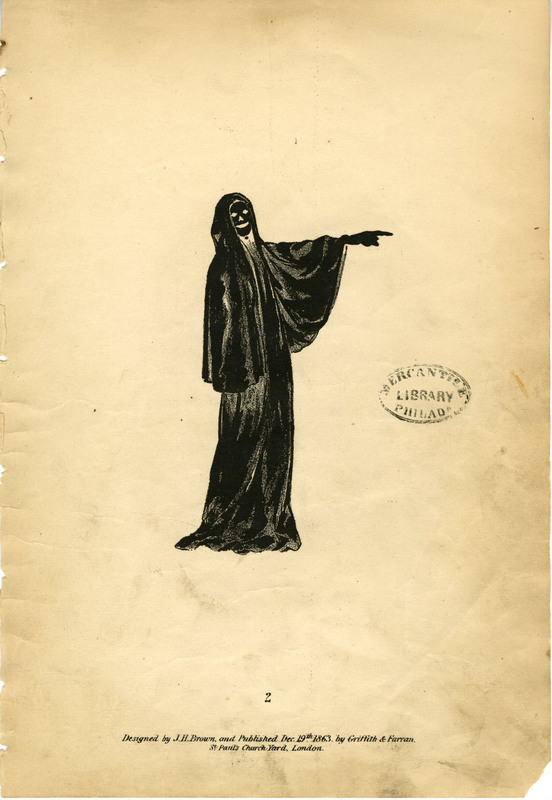 Brown’s “Spectropia,” published in 1864, is filled with optical illusions of ghostly apparitions. Selected by Jane Connelly. 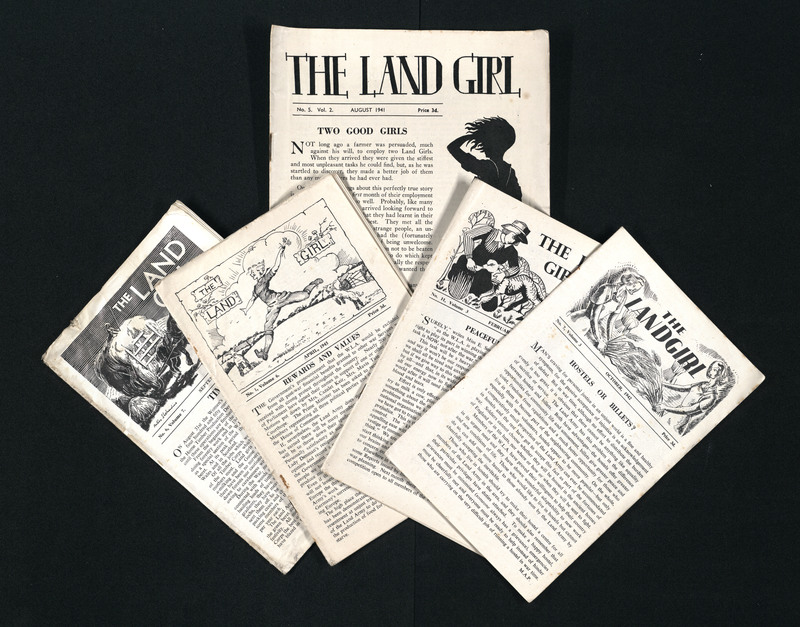 The Land Girl was the official magazine of the Women’s Land Army during World War II. Selected by Jane Connelly. 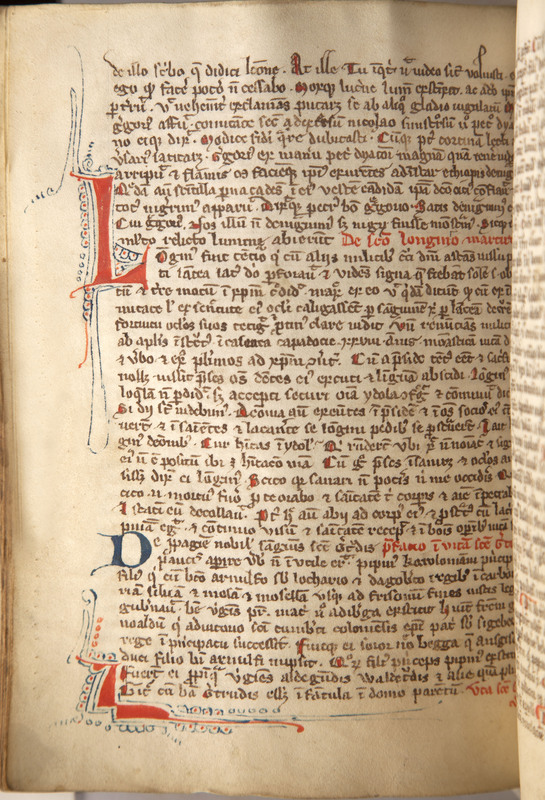 This copy of “Legenda Aurea” is a manuscript by Jacobus de Voragine that contains biographies of Catholic saints. It was produced in Italy around 1350. Selected by Andrew Rea. 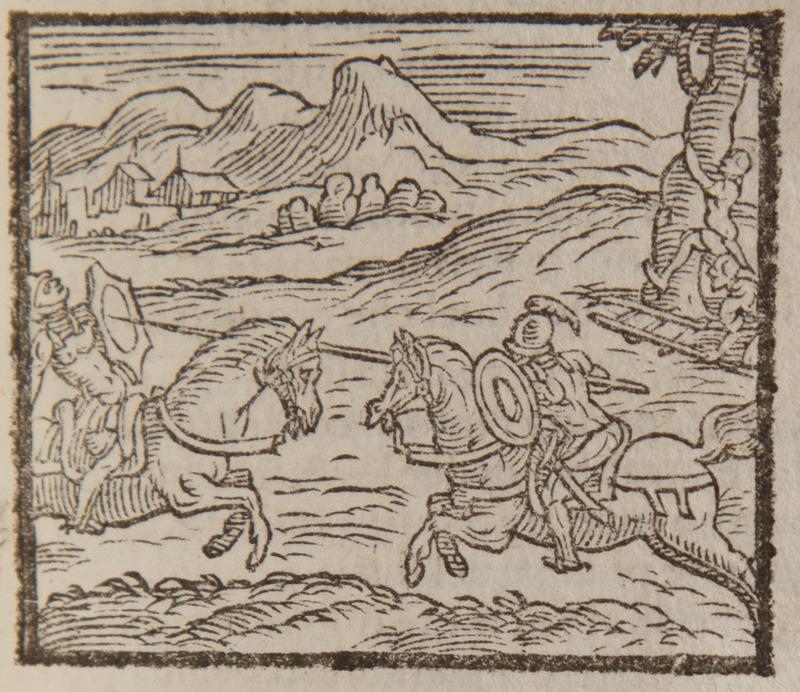 This is an illustration from Ludovico Ariosto’s “Orlando Furioso,” an epic romantic poem of unrequited love, published in 1516. Selected by Jamie Nelson. 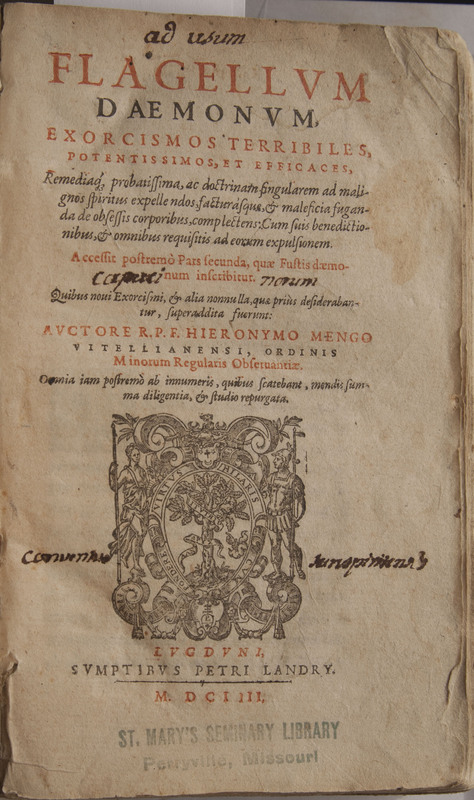 The Vincentians brought this copy of Flagellum Daemonum, an exorcism manual, to the United States in 1816. Selected by Andrew Rea. 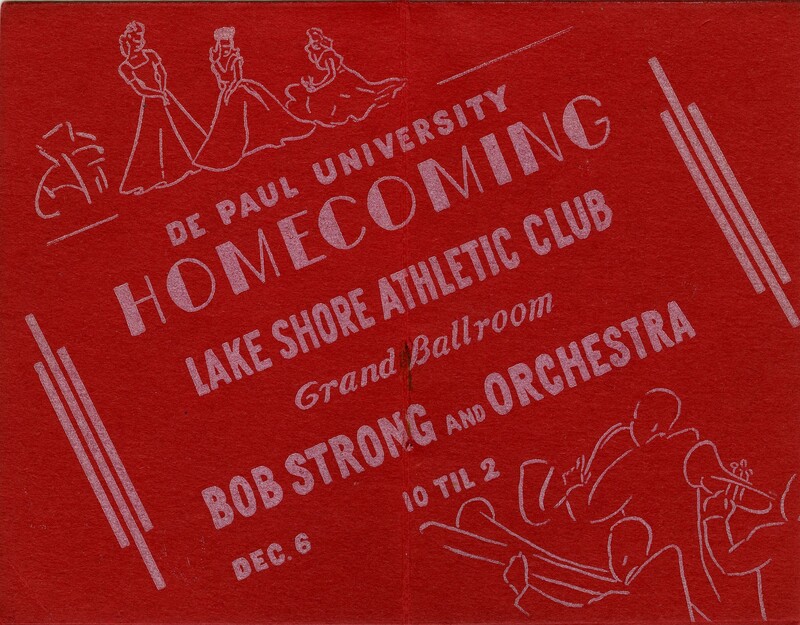 Organized dances were crucial to the social scene at DePaul in the early- to mid-20th century. Selected by Andrea Bainbridge. 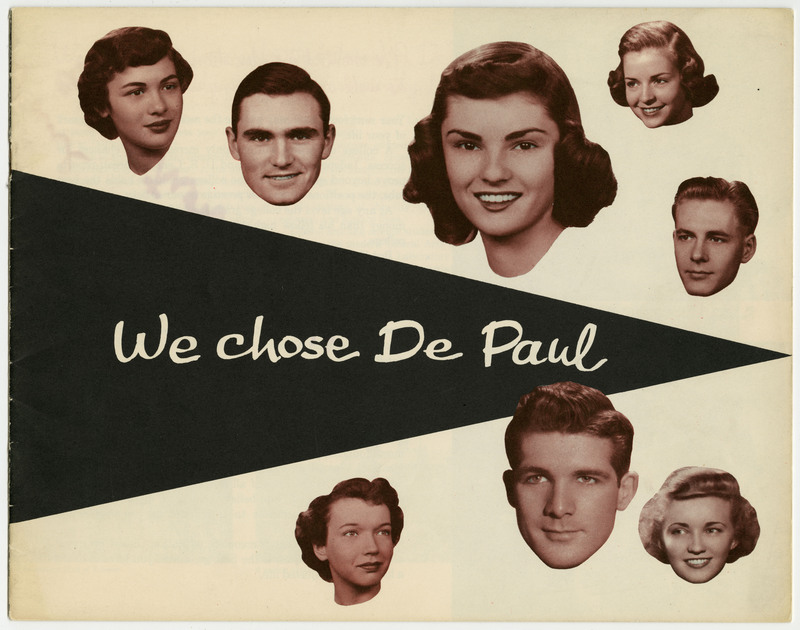 This promotional brochure shows how student life has changed at DePaul through the years. Selected by Andrea Bainbridge. 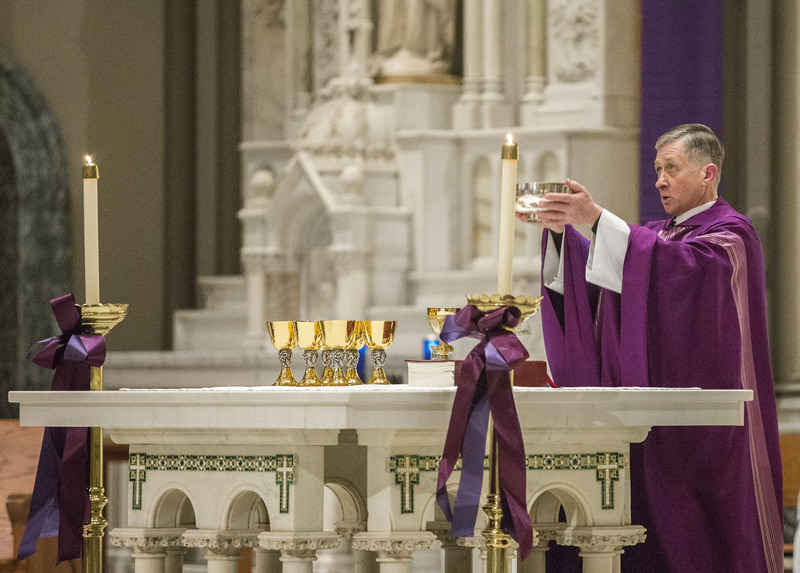 Archbishop Blase Cupich celebrates mass at St. Vincent de Paul Parish on March 8, 2015. Photo credit: Jamie Moncrief. Selected by Andrea Bainbridge. 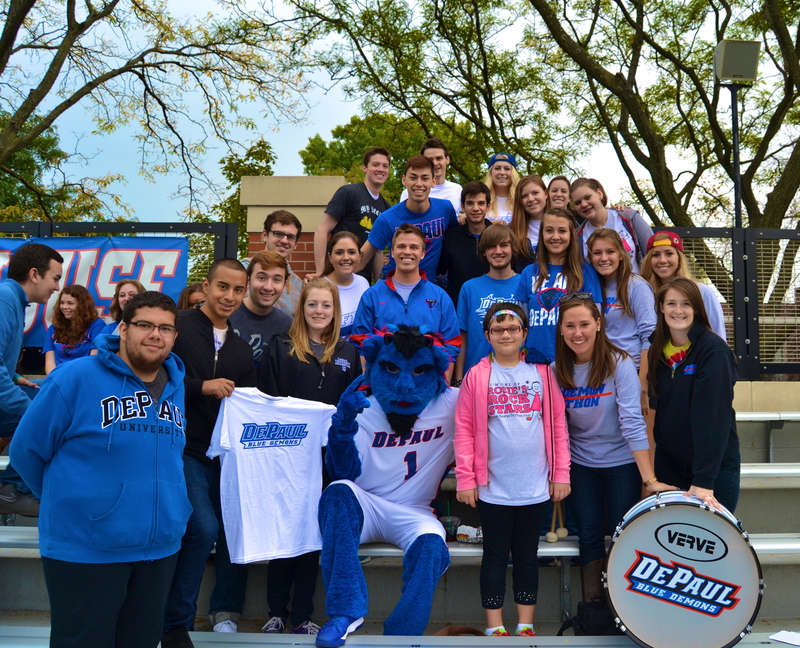 Student Government Association/DemonTHON co-sponsored a soccer game in October 2013. Selected by Andrea Bainbridge. 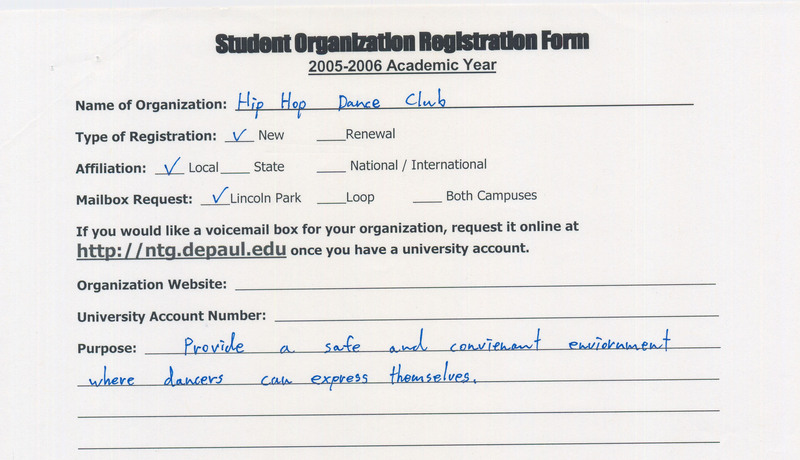 Registered student organizations represent student interests on campus. Selected by Andrea Bainbridge. 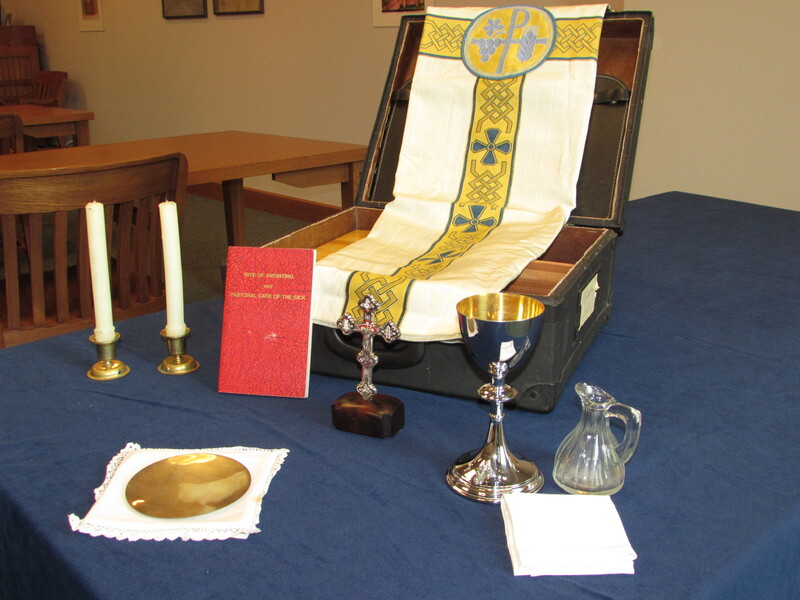 This is a mass kit containing all the necessary elements needed to celebrate the Catholic Liturgy of the Eucharist. 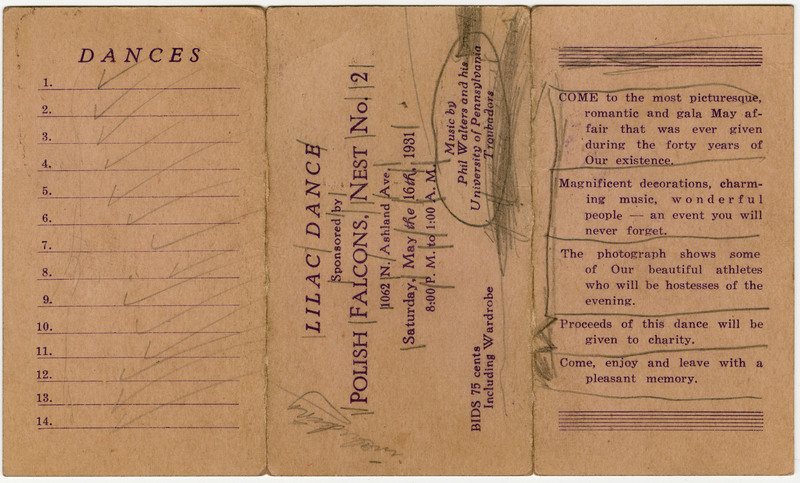 Part of the DeAndreis-Rosati Memorial Archives. Selected by Andrew Rea. 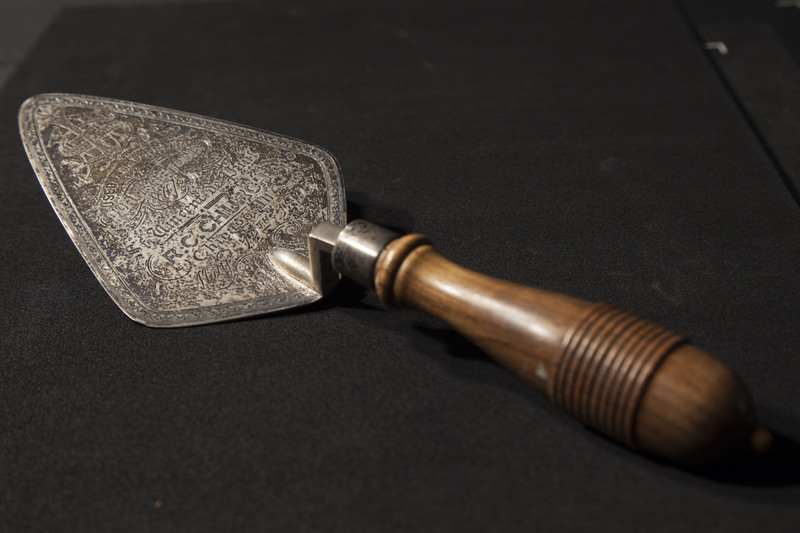 This trowel was used in laying the cornerstone of St. Vincent de Paul Church on May 19, 1895. Part of the DeAndreis-Rosati Memorial Archives. Selected by Jamie Nelson. 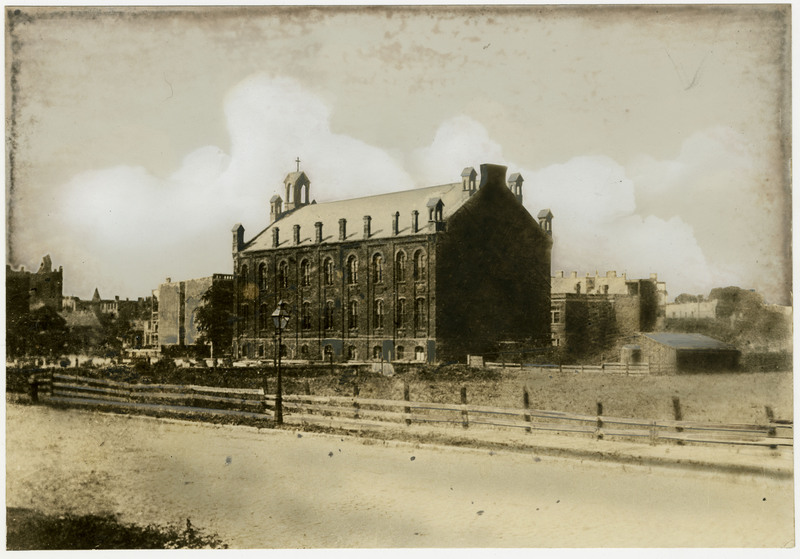 A photograph of the original St. Vincent’s Church from 1880. Part of the DeAndreis-Rosati Memorial Archives. Selected by Jamie Nelson. 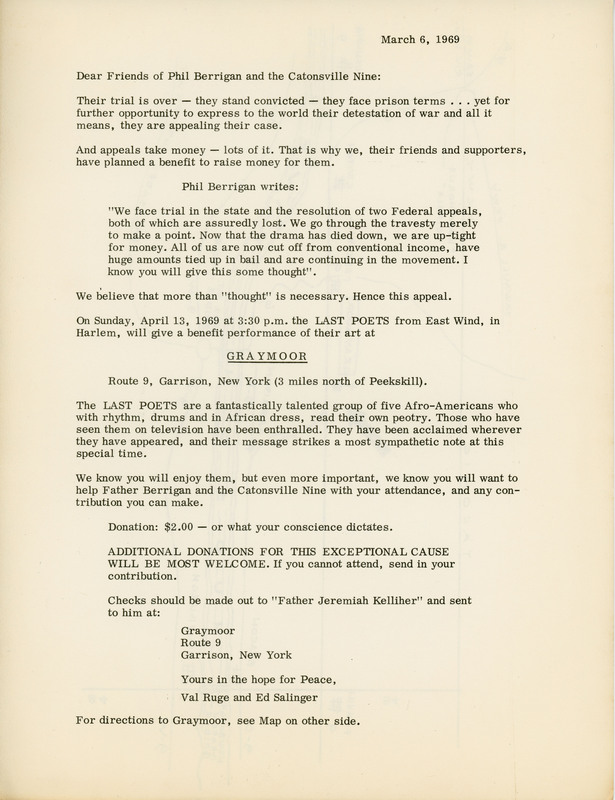 The courtroom conviction of nine Catholic anti-war protesters who burned Vietnam War draft cards prompted this 1969 benefit show featuring The Last Poets, who are often cited as a major influence on socially conscious hip-hop music. Selected by Derek Potts (LAS ’15). 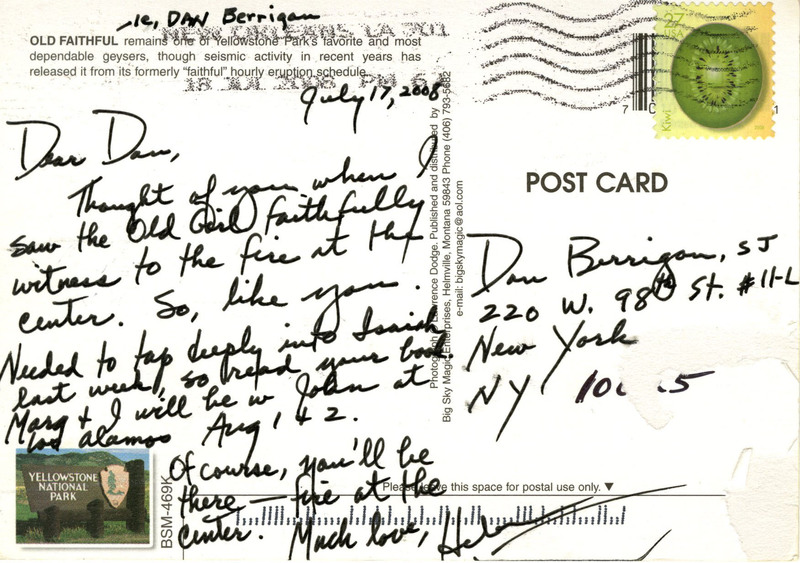 Sister Helen Prejean, C.S.J., (DHL ’00) corresponds with Father Daniel Berrigan. 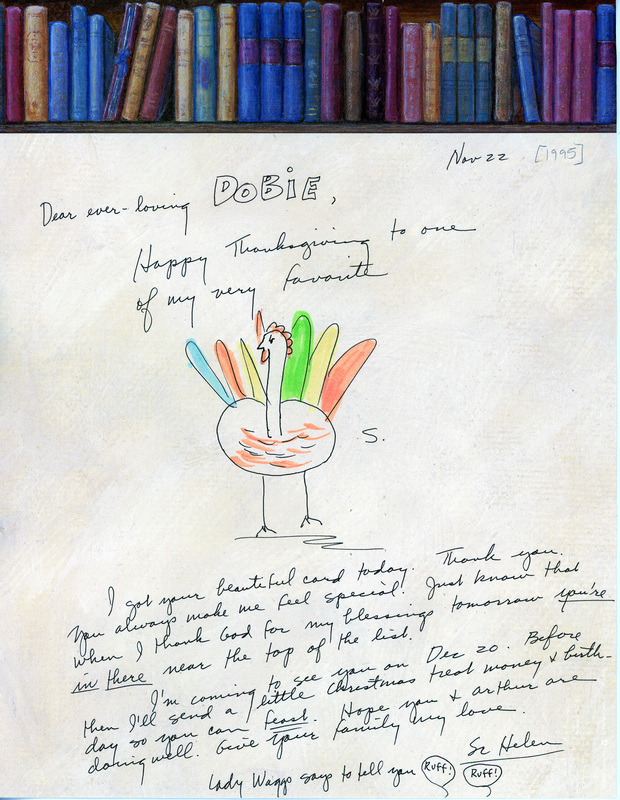 Selected by Derek Potts (LAS ’15). Dobie Gillis Williams, one of the subjects of Sister Helen Prejean’s, C.S.J., (DHL ’00) “The Death of Innocents,” corresponds with Prejean. Selected by Morgen MacIntosh Hodgetts. 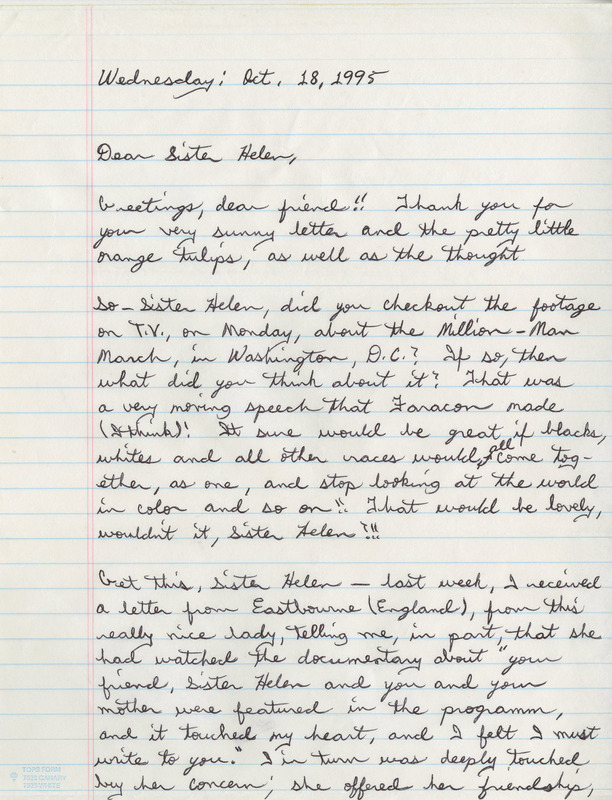 Sister Helen Prejean, C.S.J., (DHL ’00) writes a quick note to Dobie Gillis Williams. Selected by Morgen MacIntosh Hodgetts. 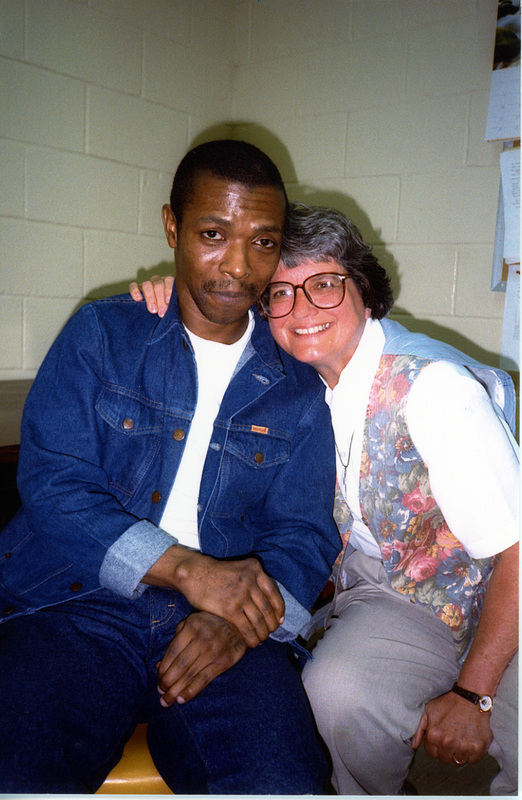 Dobie Gillis Williams and Sister Helen Prejean, C.S.J., (DHL ’00) take a photo in his cell on death row in 1998. Selected by Morgen MacIntosh Hodgetts. 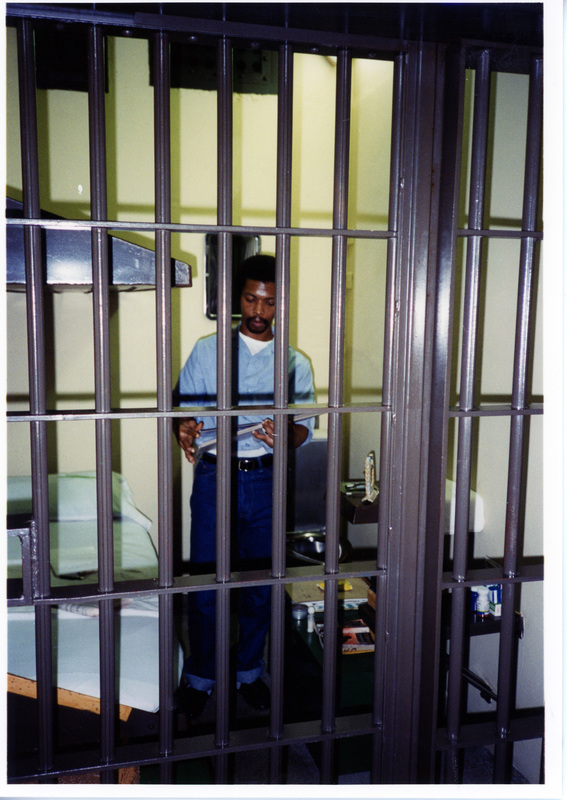 A photograph of Dobie Gillis Williams in his cell on death row in 1996. Selected by Morgen MacIntosh Hodgetts.